This post is inspired by the FP article about an Audi R8. 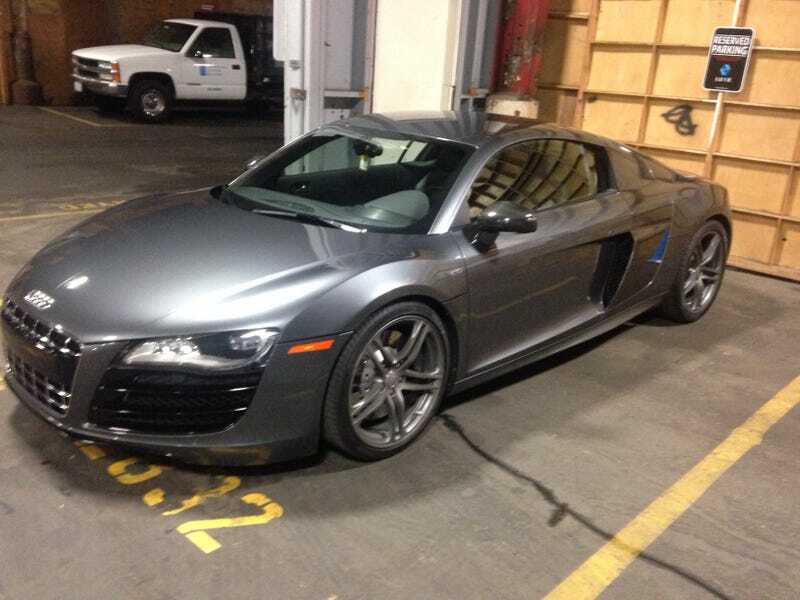 I got to drive an Audi R8 about a week ago. It was a V10 with a double clutch gearbox. Would have it been cooler to drive the manual version, yes. Even still, its not like a poor college student like me gets to drive a super everyday. 5 minutes in that car turned my crappy day into a happy day. The R8 I drove had over 40,000 miles on it. And since I didn't drive it like I stole it (because in a car like this I would have definitely been pulled over for speeding) it felt like an Audi A6. The only time it didn't feel like an A6 was when I had to dodge potholes for fear of damaging the front splitter. Ironman drives a $150,000 hellaflush car.